At age 63, I will be retiring in a few months and need to find some health insurance coverage for my wife and me until Medicare kicks in. Is Obamacare my only option? There are actually several places early (pre-Medicare) retirees can go to find health insurance coverage -- Obamacare isn't the only game in town. Here are your options depending on your income and health care needs. If your yearly income falls below the 400 percent poverty level, the Obamacare insurance marketplace is probably your best option for getting health coverage because of the federal tax credits they offer, which will reduce the amount you'll have to pay for a policy. To qualify for the tax credits, your household's modified adjusted gross income for 2013 must have been under $45,960 for an individual, or $62,040 for a couple. If your income will drop below the 400 percent poverty level in 2014 or 2015 because of your retirement, it may still make sense to buy coverage through the Obamacare marketplace, even if you don't qualify for the tax credits based on last year's income. To help you see how much you can save, see the subsidy calculator on the Kaiser Family Foundation website. To shop for marketplace plans in your state, visit Healthcare.gov or call their toll-free helpline at 800-318-2596. 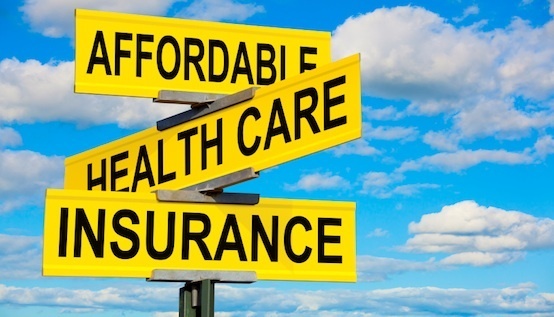 If you aren't eligible for the government subsidy, or you want additional policy options to what Obamacare offers, you can also buy health coverage outside the government marketplaces directly through insurance companies, brokers or agents. This option is not available if you live in Washington D.C. or Vermont. These policies do not offer the federal tax credits, but they are required to offer the same menu of essential benefits as Obamacare policies do, and they can't deny you coverage or charge extra for pre-existing health conditions. You might even find slightly lower premiums on outside policies, assuming that you don't qualify for the tax credits. Another possible reason for shopping outside the marketplace is to find a plan that has your preferred doctors and hospitals in its network. Many plans offered in the Obamacare marketplaces provide a very limited number of health care providers. To shop for these policies, contact insurance companies, brokers or agents and ask them if they offer policies that are not available through the government marketplaces. To find a local broker or agent that sells insurance plans, check the National Association of Health Underwriters website which has an online directory. But keep in mind that agents won't necessarily show you all available policies, just the ones from insurers they work with. You can also look for these plans at insurance shopping sites like eHealthInsurance.com or GoHealth.com, which lists plans and providers that may not be listed on Healthcare.gov. If you only need health insurance coverage for a short period of time before becoming Medicare eligible, another option you may want to consider is COBRA. COBRA coverage allows you to remain on your former employer's group health plan for up to 18 months, but not every employer plan is COBRA eligible. Contact your employer benefits administrator to find out if yours is. In most cases COBRA is expensive, requiring you to pay the full monthly premium yourself. But, if you've already met or nearly met your employer plan's deductible and/or out-of-pocket maximum for the year, and don't want to start over with a new plan; or if you find your employer's health plan to be better or more affordable that the government or off-marketplace options, it makes sense to keep your current coverage under COBRA.